Mexico City (AFP) - Mexico's central bank chief Agustin Carstens resigned Thursday, officials said, sending the peso on its latest plunge since Donald Trump won the US presidential election last month. Carstens, who had compared Trump with a maximum Category Five hurricane because of his tough stance toward Mexico, will step down on July 1 next year, the Banco de Mexico said in a statement. He is leaving to take up the post of general manager of the Bank for International Settlements, the Switzerland-based bank for central banks. 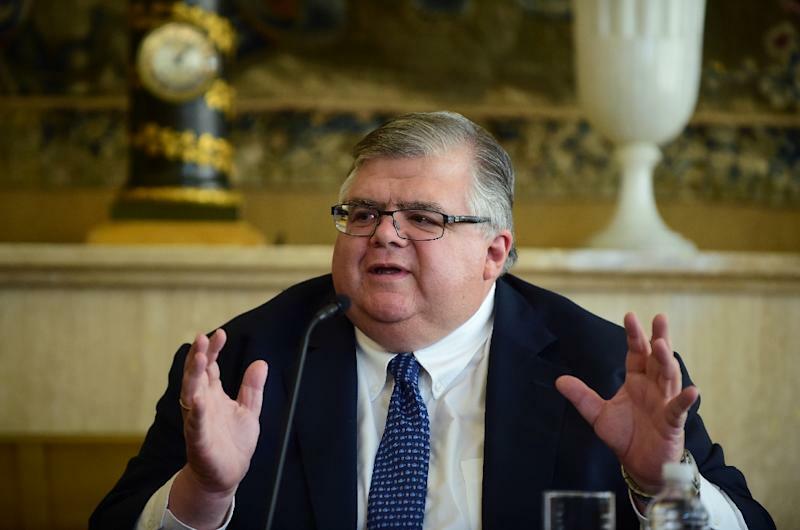 Analysts describe Carstens as a steady and experienced hand at the tiller amid a period of volatility for Latin America's second-largest economy. A former deputy managing director at the International Monetary Fund, he became central bank chief in 2010 after serving as finance minister from 2006 to 2009. The peso fell 1.2 percent Thursday after the news, to 21.05 to the dollar. Mexico has found itself on the receiving end of some of Trump's most virulent rhetoric. The Republican billionaire launched his election campaign attacking Mexican immigrants as "criminals" and "rapists" and vowing to build a wall on the southern US border. Markets are nervous about the effect of Trump's protectionist policies, including his vows to renegotiate the North American Free Trade Agreement, make Mexico pay for the proposed wall and block remittances sent home by immigrants. Trump takes office on January 20. Analysts say the peso is also affected by the prospect of an interest rate hike by the US Federal Reserve later this month. The central bank slashed the country's economic growth forecasts for 2016 and 2017 in the aftermath of the US election. The peso fell by nearly 10 percent following Trump's November 8 election win. That drove the bank on November 17 to raise the key interest rate by half a percentage point to tame inflation and curb market volatility. Despite the rate hike, "financial markets displayed negative behavior... and the Mexican peso has depreciated around 17 percent this year, making it the most depreciated currency among a wide group of emerging countries," the central bank said in a statement Thursday. "The balance of risks has worsened given the possibility of measures that could obstruct foreign trade and investment." Economist Raymundo Tenorio of the Monterrey Institute of Technology and Higher Education judged that Carstens's resignation did not mean he was fleeing the peso chaos. Instead he may be "disillusioned because monetary policy has not found a balance with fiscal policy," Tenorio said. Another economist, Jonathan Heath of the Mexican Institute of Finance Executives, forecast that the peso would suffer "for about three days but will gradually strengthen again, because the monetary policy is not going to change due to Carstens's departure." The United States is Mexico's biggest trading partner, receiving 80 percent of the country's exports. Bilateral trade between the two nations exceeded half a trillion dollars last year. 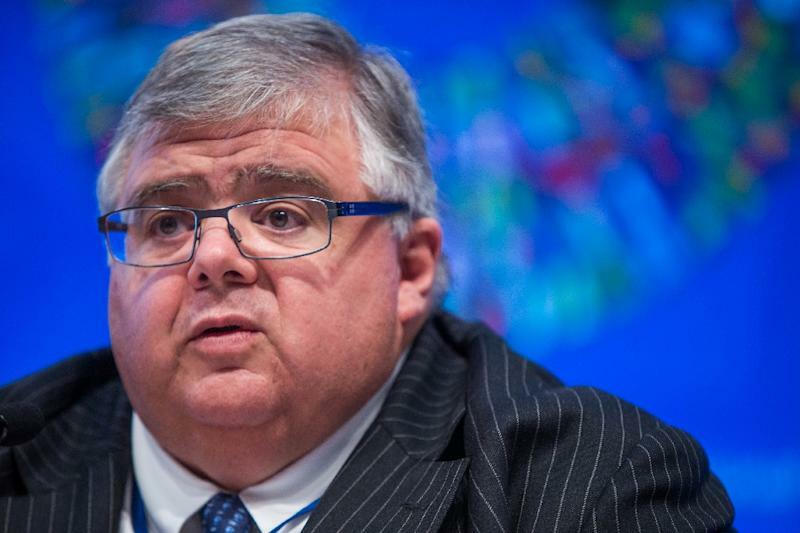 Carstens has also served since February 2015 as the chair of the International Monetary and Financial Committee, the IMF's policy advisory body.